Appeals court confirms Summa subsidiary’s $128 mln debt to VTB bank | Russian Legal Information Agency (RAPSI). MOSCOW, March 21 (RAPSI) – The Ninth Commercial Court of Appeals has granted a lower court’s ruling granting a debt claim in excess of 8 billion rubles (over $128 million) lodged by VTB bank against Global Electro Service, a subsidiary of Summa Group, according to court records. 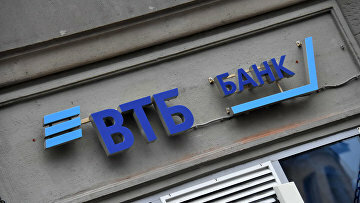 The Moscow Commercial Court included the Summa subsidiary’s debt to VTB in the creditors’ list on January 18. The court also ruled to review an application demanding to jointly and severally collect 17.1 billion rubles (about $261 million at the present exchange rate) from Summa Group owner Ziyavudin Magomedov, his brother Megomed and 14 other individuals and firms on March 25. Last December, the court included Global Electro Service’s debts to the Deposit Insurance agency (2.6 billion rubles, or $40 million), VTB (430 million rubles, or $6.5 million) and Russian Credit Bank (596 million rubles, or $9 million) in the list of creditors’ claims. A monitoring procedure was introduced in Global Electro Service last summer on the request of NT-Com Engineering company. At the same time, it was discovered that Ziyavudin Magomedov and his brother had been additionally charged with stealing 300 million rubles ($4.6 million) during the construction of a highway in South Siberia in September 2014.